Guitars can suffer during cold weather if you don't take special steps to keep them in good conditions. Temperature and humidity can affect a guitar profoundly. 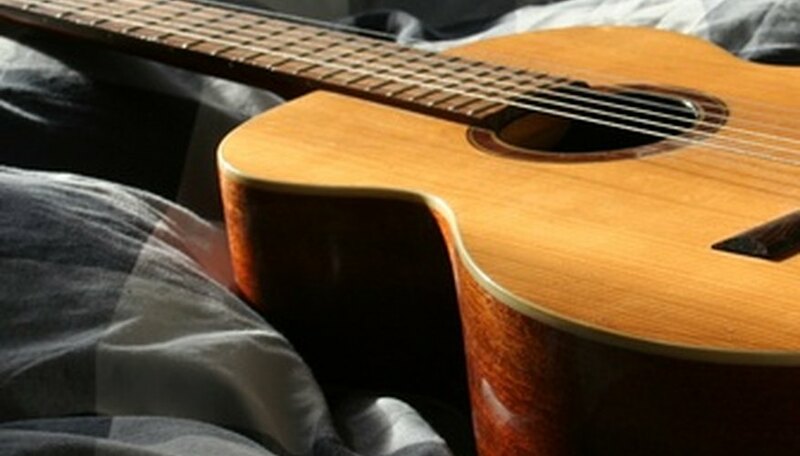 In order to preserve your guitar and keep it sounding its best, keep several factors in mind during the winter season. Low temperatures during the winter can damage a guitar's finish. Generally, freezing temperatures can cause cracks in the finish and possibly even in the wood itself. Keep your guitar out of cold temperatures entirely. If you must transport it or ship it in freezing temperatures, keep the instrument in its case. Once you bring it back to a normal room temperature setting, keep the guitar in its case for a while until it has a chance to gradually acclimate to the warmer temperature. You can do much more damage by quickly exposing a guitar to temperature changes than by letting it adjust slowly. Cold weather often means low humidity. Prolonged exposure to dry air can cause a guitar to warp and crack. Even if your guitar isn't exposed to cold, dry weather outdoors, your house may also have low humidity due to heat used during the winter. You can use a home humidifier to help remedy this problem. The ideal humidity for a guitar is approximately 45 to 50 percent. You can buy an inexpensive instrument called a "hygrometer" that will tell you what the humidity level is in your home. If you aren't monitoring the temperature and humidity as carefully as you should, keep an eye out for warning signs that may suggest your guitar is beginning to sustain damage from the winter weather. As the wood changes, you may notice lower action on the neck, sharpened fret ends, a concave appearance on the face of the guitar, grainy ridges in the wood and even cracks on the instrument. If you notice any of these red flags, take your guitar to a music shop or a luthier who can help to repair your instrument and prevent further damage.